Anne Akiko Meyers, a world class violinist and a best-selling recording artist, is giving you an incredible opportunity to make the official music video for Lullaby for Natalie, the world premiere recording from her upcoming album, to be released on eOne September 30. "The Lullaby for Natalie was composed in 2010 by Academy and Grammy Award winning composer, John Corigliano, soon after my sweet Natalie was born," she writes. "The piece is tender, beautiful and magical-much like the moment when I first laid eyes on this little creature who was born that day. Make a video that reflects this enchanting music with free artistic license. Good luck!". Deadline for submissions is September 15, 2014, 23:59 GMT time. The selected video will receive $5,000 and have their video used as the official music video for Lullaby For Natalie. The official selection and finalist group will be chosen by Anne Akiko Meyers and Genero. Anne Akiko Meyers is celebrated around the world for her incredible artistry and ability to connect with audiences from the concert stage, online, television, and radio. She regularly performs as guest soloist with many of the world’s top orchestras, and is a best-selling recording artist who has released nearly 30 albums. Read more. 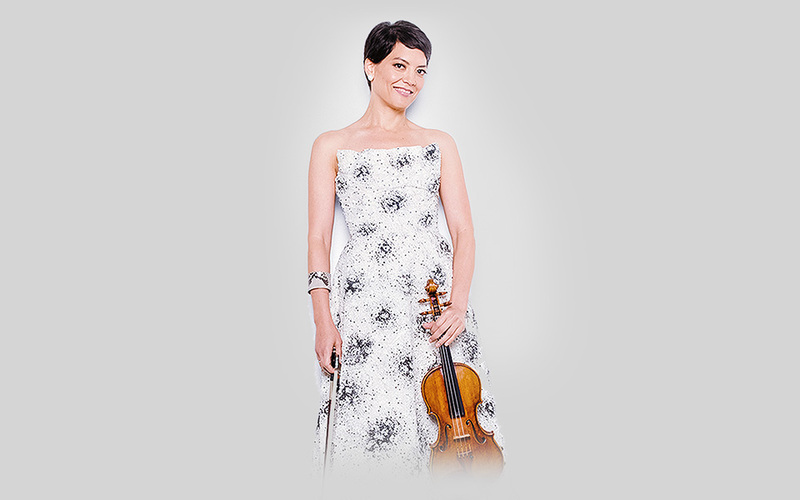 Anne Akiko Meyers is celebrated around the world for her incredible artistry and ability to connect with audiences from the concert stage, online, television, and radio. She regularly performs as guest soloist with many of the world’s top orchestras, and is a best-selling recording artist who has released nearly 30 albums. An avid commissioner of new repertoire, Meyers premieres works by Mason Bates, Samuel Jones and Somei Satoh this year. In 2013-14 Meyers’s performances include recital and concerto appearances in North and South America, Europe and Asia, and new recordings with the London Symphony Orchestra and English Chamber Orchestra. Of special note are performances with the Chicago, Detroit, Nashville, and Richmond Symphony Orchestras of the Mason Bates violin concerto, a work she co-commissioned and premiered with the Pittsburgh Symphony in December, 2012. Also in 2012, Air-The Bach Album debuted at #1 on the Billboard charts and was one of the most successful albums of the year. In February 2014, Four Seasons: The Vivaldi Album, debuted at #1 on the classical Billboard charts. It also features the Vivaldi Triple Concerto (on which Meyers plays all three parts) and Arvo Part’s Passacaglia with the English Chamber Orchestra. This marks the recording debut of the ‘Ex-Vieuxtemps’ Guarneri del Gesu violin, dated 1741, which was recently awarded to Meyers for her lifetime use. This instrument is considered by many to be the finest sounding violin in existence. Watch the story here. This fall, Ms.Meyers will release a recording with Leonard Slatkin and the London Symphony Orchestra featuring Concertos of Samuel Barber, Mason Bates and John Corigliano’s Lullaby for Natalie, which was written for Meyers’s first born daughter. This August, she will also make the world premiere of Samuel Jones Violin Concerto with the All-Star Orchestra, conducted by Gerard Schwarz, in a PBS nationally broadcast special, to be aired in spring, 2015. Anne Akiko Meyers has collaborated with a diverse array of artists, including jazz icons, Chris Botti and Wynton Marsalis, avant-garde musician, Ryuichi Sakamoto, electronic music pioneer, Isao Tomita, pop-singing group, Il Divo and Michael Bolton. She performed the National Anthem in front of 42,000 fans at Safeco Field in Seattle, and appeared twice on The Tonight Show and was featured in a segment on MSNBC’s Countdown with Keith Olbermann that was named the third most popular story of the year. A popular artist on public radio, she was recently a guest host on Chicago's WFMT with Lisa Flynn and was featured on NPR's Morning Edition with Linda Wertheimer and All Things Considered with Robert Siegel. Best-selling novelist, J.Courtney Sullivan, consulted with Ms. Meyers for The Engagements, and based one of the main characters loosely on Ms. Meyers’ career. She was featured on the popular NickJr. show, Take Me To Your Mother, with Andrea Rosen on the episode, 'Andrea Gets in Tune'. Anne Akiko Meyers was born in San Diego, California and grew up in Southern California. She studied with Alice and Eleonore Schoenfeld at the Colburn School of Performing Arts, Josef Gingold at Indiana University, and Felix Galimir, Masao Kawasaki and Dorothy DeLay at the Juilliard School. 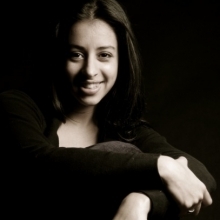 She has been awarded the Avery Fisher Career Grant and serves on the advisory board of Composers Concordance and Young Concert Artists. She lives with her husband and two young daughters in Austin, Texas. We're thrilled to announce that Anne Akiko Meyers decided to select TWO official music videos, and each filmmaker receives $5,000. Julianna and her violin: Love at first sight. A true story.